We've expanded from our original space in Pacifica to a larger light filled spacious location in the heart of the inner Richmond District in San Francisco. Located a stone's throw from The DeYOUNG Museum, California Academy of Sciences, and Golden Gate Park, the new shop offers the same beautifully curated selection of direct made goods from around the globe, an open plan working ceramic studio where ceramics are made in house by owner Linda Fahey, and also home to the satellite workshop of floral designer and author Alethea Harampolis of StudioChoo(West). We've completed out move to our new San Francisco Location! Our Pacifica Shop is our spiritual home, and where we got our start. Featured in Sunset, California Magazine and many other publications, the shop is known for its homey, welcoming atmosphere and it's original selection of finds which keeps bringing people back. YONDER Pacifica is a petite space filled with daylight and warmth. We make it effortless to find something special. Each object in the store is selected because of the story it tells, creating a curated selection of modern goods for all occasions. 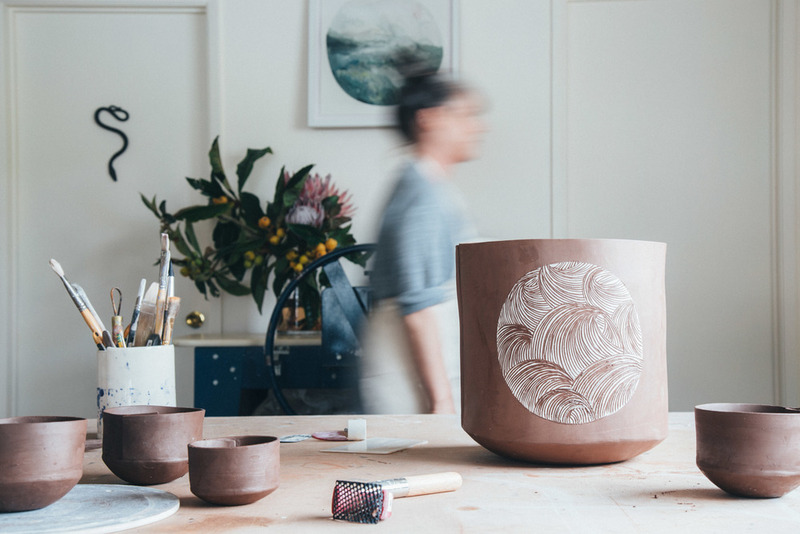 Beyond being the chief curator and proprietor of YONDER, artist Linda Fahey spends much of her time in the shop's studio, making her own line of ceramics, all inspired by a life lived by the coast. At YONDER, her open studio is a space for exploration, innovation, and collaboration, where she welcomes customers, artists, and friends to pull up a seat at her worktable for conversations and creating. Her work is shown at respected shows in the Bay Area throughout the year, and is available nationally and internationally through design-focused stores such as Anthropologie, Voyager, Rare Device.